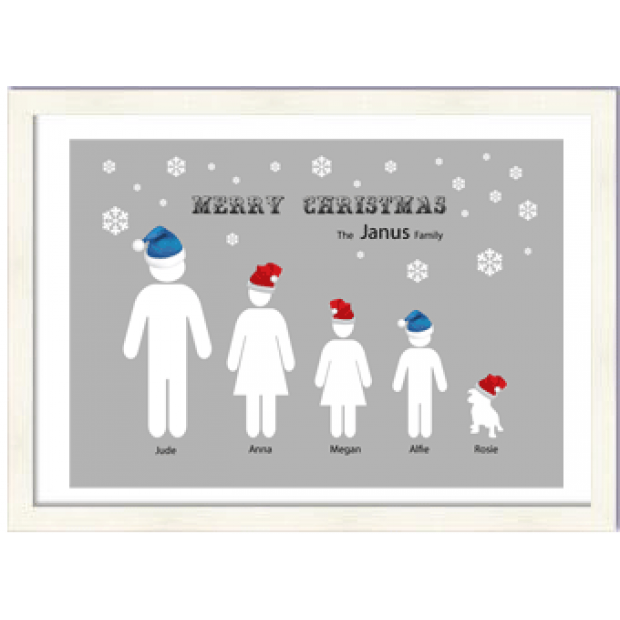 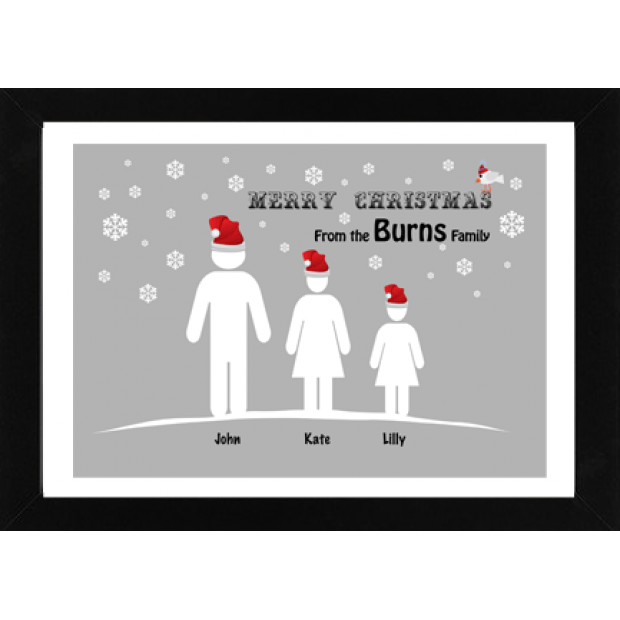 A special Christmas gift, a personalised Christmas family complete with jolly hats, snow and your family name(s). 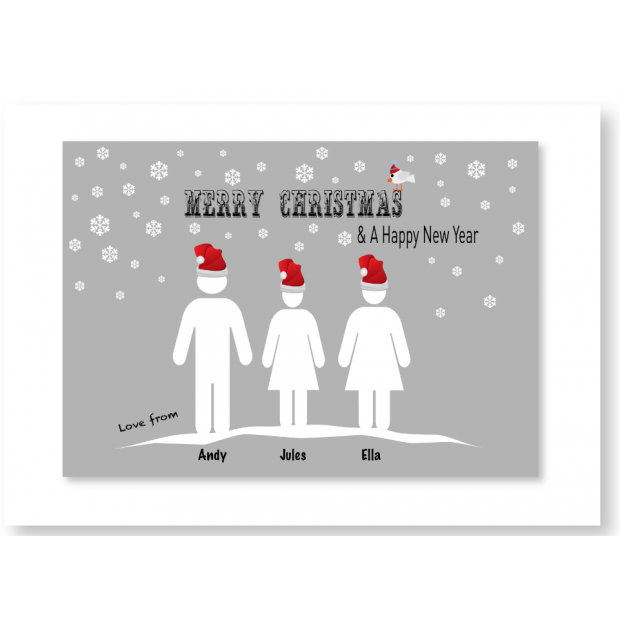 An A4 glossy print. The A3 frame in a choice of black or white and a neutral coloured mount are included. 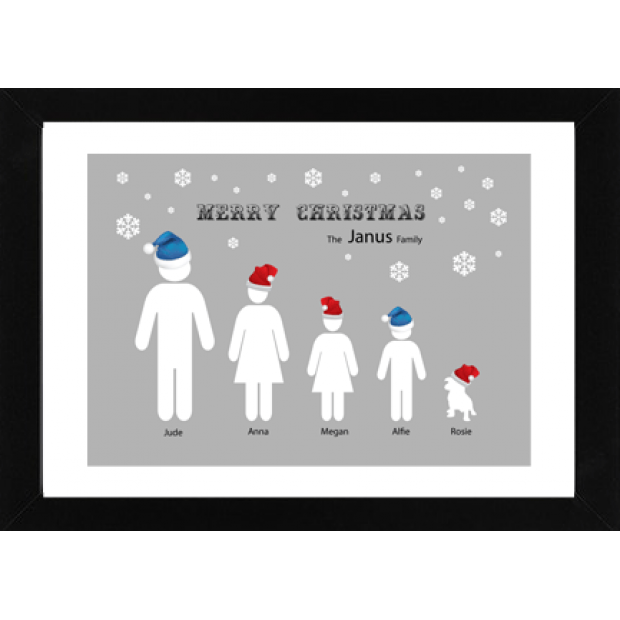 An ideal Christmas present to give or decoration for your own home.